Dog collars are an essential accessory for your pup, but now you can make them even more stylish with our personalised dog collars, available in a wide range of colours and styles. 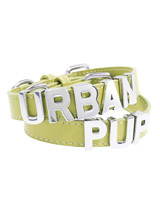 Whether you want your dog's name, initials or nickname on the collar, it's completely up to you. 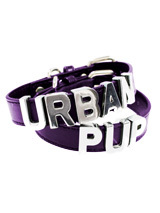 Available in diamante to give your pup a little extra bling, or available in chrome for a less flashy look, you can be sure to find everything you need to make sure your pup is the best looking dog in town. 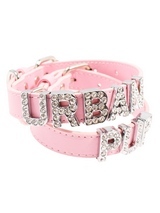 The personalised dog collars that we stock are available in different sizes to fit all size and breed of dog, and you can even add a matching lead or a diamante bone charm. 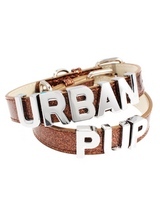 Here at Urban Pup, we pride ourselves on making sure your dog is both safe and chic. 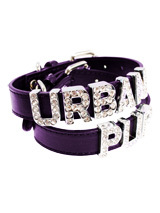 Our dog collars are comfortable and prove a perfect fit to reduce any chance of chaffing. Whatever you're looking for, Urban Pup has you and your dog covered. It's important that your dog stands out from the crowd and our personalised dog collars are the perfect accessory to do that. Our personalised dog collars are completely unique and we are the experts when it comes to making sure your dog is in style as well as being safe. 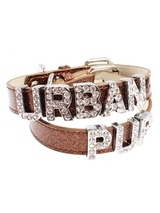 With a matching lead available, your pup will be able to strut its stuff around town. Our quality designs have been put together by top designers in the dog fashion world and are styled so that they are easy to put on, take off and stay on, no matter what your dog is doing. If you have any questions about any of our products, or any other enquiries, feel free to contact a member of our team today.